The release of a third white paper since 2014 by the International Council on Clean Transportation (ICCT) has revealed that for a second time, Norwegian has topped the rankings for the most fuel-efficient carrier on transatlantic routes based on passenger kilometers per liter (pax-km/l). Not only did Norwegian head the ranking, but it beat 19 of its rivals, such as Virgin Atlantic, American, Delta, United and British Airways, who burned between 33% and 78% more fuel per passenger-km on the London-New York route, with British Airways, which came bottom in the ranking, burning an astonishing 63% more fuel per passenger kilometer than Norwegian. Fleets of aircraft which is predominantly made up of Boeing Dreamliners, 737-800s and 737-MAXs. “The most important thing that an airline can do for the environment is to invest in newer aircraft which use the latest technology to be as fuel efficient as possible. Our strategy to have a modern fleet is paying dividends not only for our business and customers but also our planet. This recognition from ICCT is truly the highest form of industry praise and is validation that we’re moving in the right direction with more environmentally friendly planes. For customers, this offers yet another reason to fly with us, to help reduce their carbon footprint,” said Bjørn Kjos, CEO of Norwegian. Ryanair has launched its London S 2019 schedule, with 23 new routes (over 180 in total), which will deliver 26m customers p.a. through Ryanair’s 4 London airports – Stansted, Luton, Southend and Gatwick. Ryanair’s London S19 schedule will deliver a new 3 aircraft base at Southend, 2 more aircraft at Luton (6 in total) and 23 new routes, including: 3 at Stansted, 6 at Luton and 14 at Southend. Air Lease Corporation has announced the pricing on September 10, 2018 of its public offering of US$700 million aggregate principal amount of 3.500% unsecured senior notes due 2022 and US$500 million aggregate principal amount of 4.625% unsecured senior notes due 2028. The sale of the Notes is expected to close on September 17, 2018, subject to satisfaction of customary closing conditions. The 2022 Notes will mature on January 15, 2022 and will bear interest at a rate of 3.500% per annum, payable semi-annually in arrears on January 15 and July 15 of each year, commencing on January 15, 2019. The 2028 Notes will mature on October 1, 2028 and will bear interest at a rate of 4.625% per annum, payable semi-annually in arrears on April 1 and October 1 of each year, commencing on April 1, 2019. FL Technics, a global provider of integrated aircraft maintenance, repair, and overhaul services, has signed a long-term contract with Luxair S.A., Société Luxembourgeoise de Navigation Aérienne, the regional flag carrier airline of Luxembourg for MRO services. 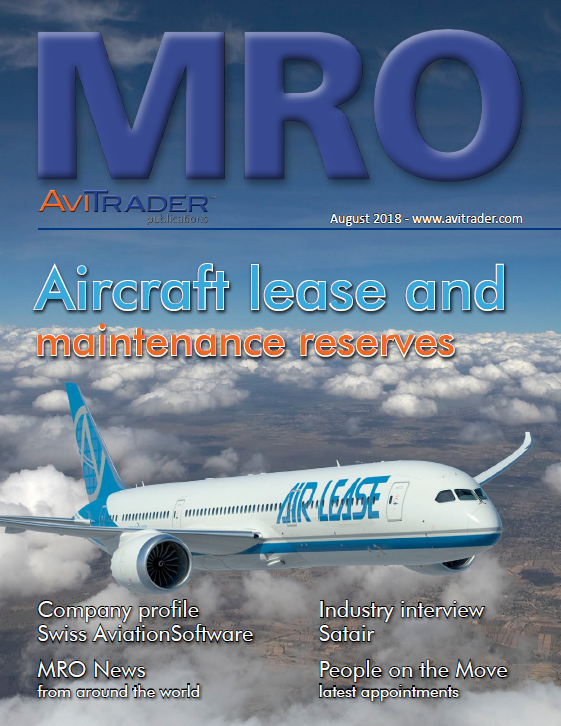 The MRO services will be provided to their complete Boeing 737 NG fleet. First aircraft will be handled in the beginning of November, 2018 in Kaunas (Lithuania) and shortly will be followed by yet two more. C&L Aerospace, a C&L Aviation Group Company, has been named as the recommended vendor for CT7 ECMP and non-ECMP LRU services support by GE Aviation. GE Aviation has completed the transition and will no longer offer CT7 LRU support as part of the ECMP program however operators for both the CT7-5A2 and CT7-9B engines will have the option to utilize C&L Aerospace for their LRU support needs. C&L is uniquely positioned to provide the level of support the CT7 customers have come to know and demand. C&L Aerospace can offer operators of the CT7 engine options for hourly LRU coverage rates or unit specific pricing for repair and overhaul. C&L Aviation Group is an FAA and EASA approved industry leader in servicing, maintaining, and supporting operators in the corporate and regional aviation industry. In addition to aircraft and engine sales and leasing programs, C&L offers parts support, heavy maintenance, interior refurbishment, aircraft teardown, disassembly services, and aircraft management. C&L is headquartered in Bangor, Maine, with international offices in Australia and Europe. Ulrich Gehling assumed the position of CEO of INAIRVATION in August. He is an aviation professional with decades of front line experience in the aircraft industry. His track record includes executive positions at Pilatus Aircraft, Grob Aerospace, RUAG Aviation and others. With his wealth of experience in business aviation he will lead INAIRVATION into a new future. “I am excited about the potential of integrated cabin innovation. The fusion of F/LIST high end aircraft furniture with Lufthansa Technik’s state of the art cabin technology is just a perfect strategic fit. This joint venture provides a unique opportunity taking integrated VIP aircraft cabin design to the next level of passenger comfort.” Gehling says. IAI and Effective Space, a company pioneering last mile logistics in space - have signed a term sheet for cooperation, including both technological and financial partnerships. Under the conditions of the term sheet, Effective Space will appoint IAI as the primary contractor of its SPACE DRONETM spacecraft, while IAI will work to complete the necessary approvals for equity investment in Effective Space. The term sheet follows more than a year of cooperation, during which both companies have been jointly working on the SPACE DRONETM spacecraft design. Effective Space is pioneering a new era in last-mile logistics in space that will see its SPACE DRONE™ spacecraft fleet deployed to provide auxiliary services to space assets. Initial services to be provided by Effective Space will be life-extension for satellites in Geosynchronous Earth Orbit. The company’s first contract, signed in 2017 with an international satellite operator, will see two SPACE DRONE™ spacecraft launched in 2020 to extend the life of two existing satellites, and is expected to generate revenues of more than US$100 million. HAITE Aviation Training Singapore (referred to as HAITE Singapore), a wholly-owned subsidiary of Sichuan Haite High-Tech Co. of Chengdu, China (HAITE Group), has signed a training agreement with China Eastern Airlines (CEA), one of China’s three major airlines. HAITE Singapore is the largest independent aircraft pilot training center in Singapore, serving as a training hub for pilots and aviation-related crew alike. This training contract marks yet another training service agreement between HAITE Singapore and a leading regional airline. Under the agreement, HAITE Singapore will develop and conduct relevant training programs for current and future CEA pilots. HAITE Singapore will also provide CEA’s pilots with flight training on its Airbus A320 and Boeing B737 flight simulators. Headquartered in Shanghai, China, CEA serves nearly 80 million travelers annually, and ranks among the world’s top five airlines in terms of passenger transportation volume. CEA has a flight network that serves 1,062 destinations across 177 countries, and is an official member of SkyTeam, an airline alliance. HAITE Singapore has trained more than 10,000 pilots over the past three years. 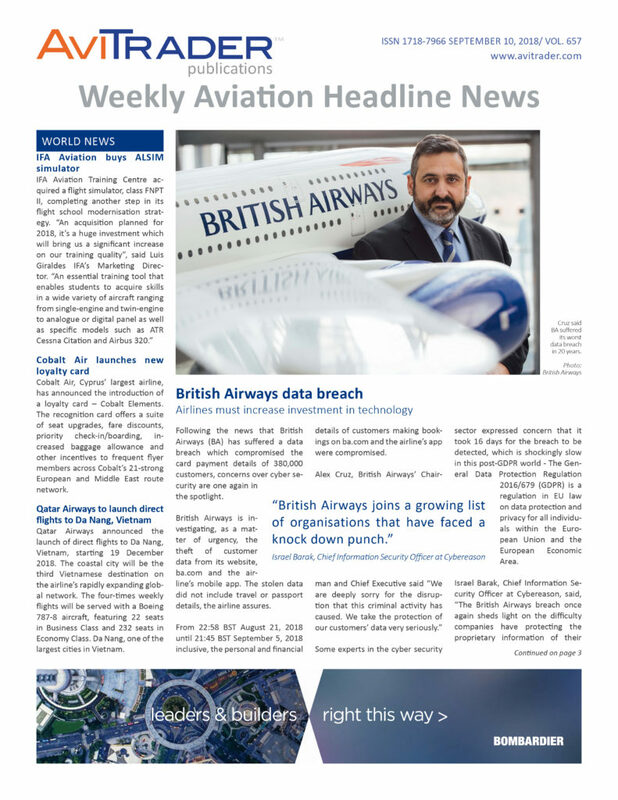 To keep pace with the industry’s rapid growth and high expectations, the company plans to install an Airbus A320neo flight simulator by January 2019, and a Boeing B737 MAX flight simulator by January 2020. With the new flight simulators, HAITE Singapore expects to provide training for over 6,000 pilots annually. Moving forward, HAITE Singapore plans to increase its presence in Asia by leveraging on the expertise, experience, and resources of its sister aviation training centers in Kunming and Tianjin. The company is also looking to broaden its business footprint through closer cooperation with global customers. NYCO has released that Fort Lauderdale-based Silver Airways, one of North America’s leading regional airlines, has selected NYCO Turbonycoil® 600, a synthetic standard turbine oil, to be used on its fleet of Saab 340s and new ATR-600s. Approved against demanding specifications, including SAE AS 5780 SPC Class and MIL-PRF-23699 STD Class, NYCO Turbonycoil® 600 has received certification for use by all major engine manufacturers. It has logged more than 30 years of experience in jet engines of military and commercial aircraft.